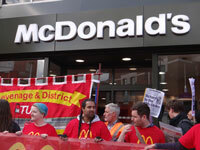 On the heels of a successful organising campaign at fast food giant McDonald’s, the union BFAWU is now targeting safety problems at the burger chain. It found its insecure workforce had plenty to be worried about. 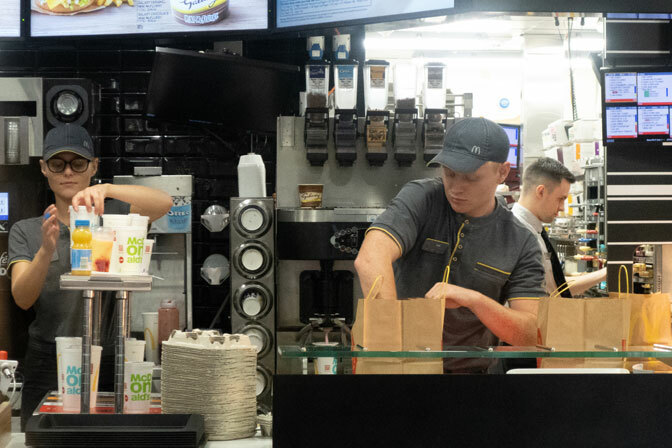 McDonald’s workers told BFAWU organisers they routinely experienced slips on spills that had not been cleaned or signposted, musculoskeletal pain from long periods of standing with inadequate rest breaks, or exposure to air pollution while staffing Drive-Thru windows. 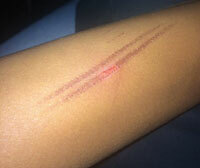 But burns on hot surfaces and fat fryers topped the list of under-reported painful problems. The union is critical of the company’s attempts to put a health gloss on unhealthy employment practices. 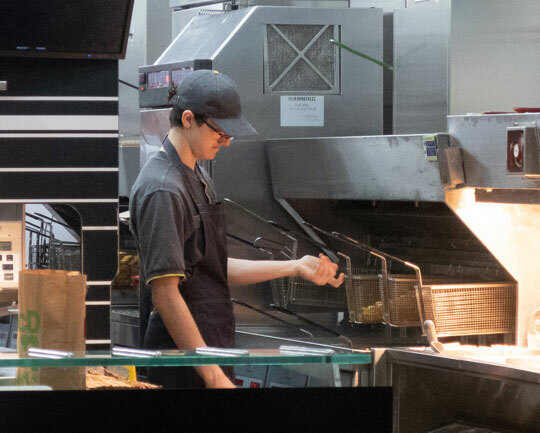 In August 2018, the International Labour Organisation (ILO) welcomed McDonald’s as a partner in its Global Initiative on Decent Jobs for Youth. 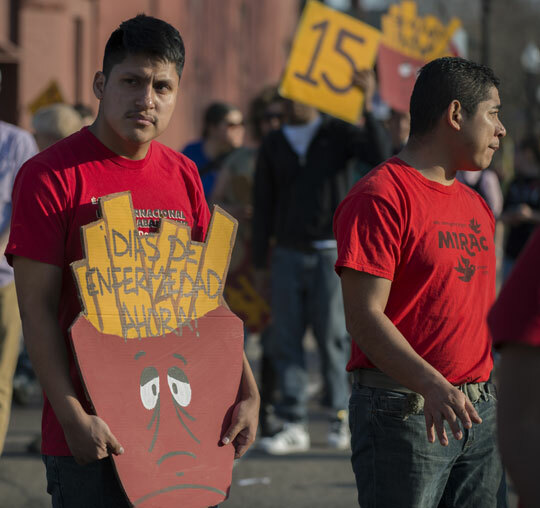 The move by the UN’s labour standards body prompted outrage from unions, who say the global fast food firm is no champion of decent work, but is instead guilty of routine safety and employment rights abuses. The 22 August ILO news release quickly disappeared from the ILO website, after global union confederation ITUC and the international food union IUF requested an urgent meeting with the ILO director general to discuss the labour standards body’s corporate partnerships. 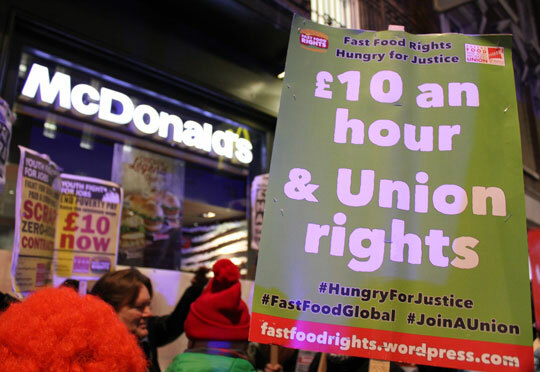 The global union bodies said the fight against rights abuses committed by McDonald’s has included union campaigns in the UK, the US, the Philippines, Korea, New Zealand and Brazil. 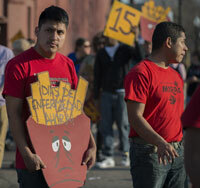 McDonald’s is still listed as a partner on the ILO’s dedicated Decent Jobs for Youth website. 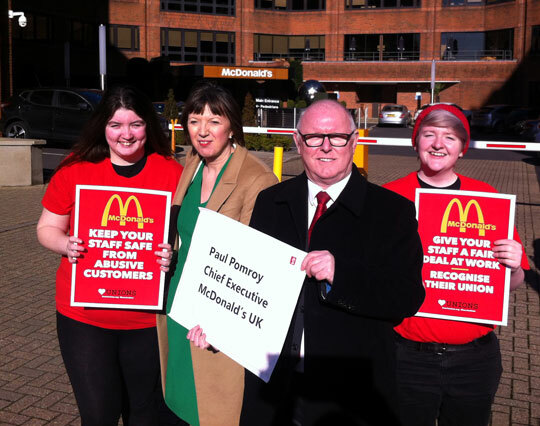 GET THE MESSAGE McStrikers Kayleigh O’Neill and Lauren McCourt were joined by TUC general secretary Frances O’Grady and Ronnie Draper, general secretary of the fast food union BFAWU, to deliver a February 2018 letter to McDonald’s chief executive Paul Pomeroy. The message calls for protection from abusive customers and for union recognition. UNHEALTHY RECIPE In August 2018, the International Labour Organisation (ILO) announced: “McDonald’s ties up with the Global Initiative on Decent Jobs for Youth,” adding: “Leading quick-service restaurant brand joins 43 partners who have pledged to reduce barriers to decent employment for youth while boosting access to decent work around the globe.” The news release was hastily removed from the ILO’s website after global unions questioned the UN body’s cosy ‘corporate partnerships’. 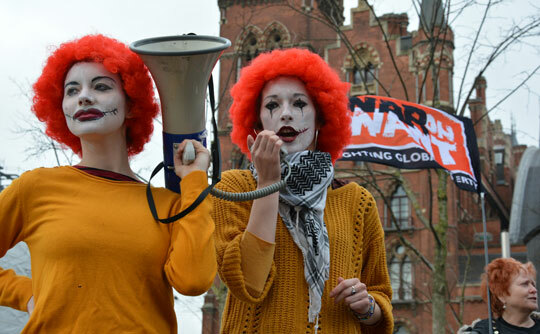 McStrike McDonald’s was stunned by the strength of public support for strikes and protests outside UK outlets in September 2017 and May 2018. The media savvy burger joint found itself being out-gunned, with a ‘tidal wave’ of tweets, videos and other social media #McStrike postings exposing low wages, insecure work and poor conditions in McDonald’s. McBurned Unions say burns shouldn’t be part of the job. 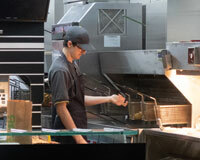 The #McBurned safety campaign is the latest phase of their Fast Food Rights push. McDonald’s workers have responded by publishing photographs of their injuries on Facebook. Action everywhere Workers worldwide are teaming up with unions and other labour rights groups challenging exploitative employment practices, low wages and hazardous jobs at McDonald’s. 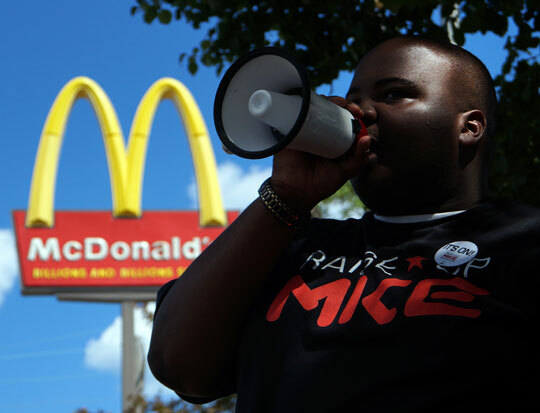 Global food union IUF said the fight against rights abuses committed by McDonald’s has included union campaigns in the US, the UK, the Philippines, Korea, New Zealand and Brazil. 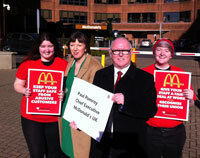 Pay up The union campaign for fairness and decent pay at McDonald’s has attracted wide support from groups including War on Want. 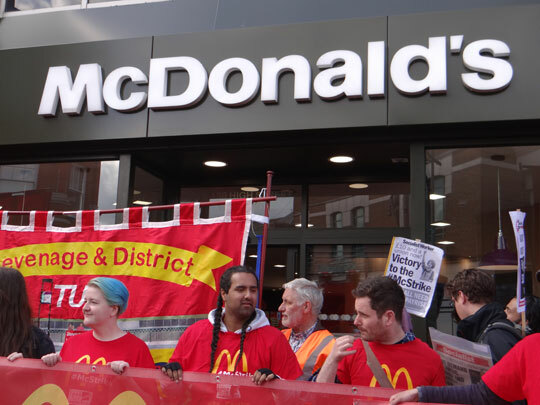 On the heels of a successful organising campaign at fast food giant McDonald’s, the union BFAWU is now targeting safety problems at the burger chain.